B&D Plastics, LLC holds Certificate of Authorization No. RTP-022. 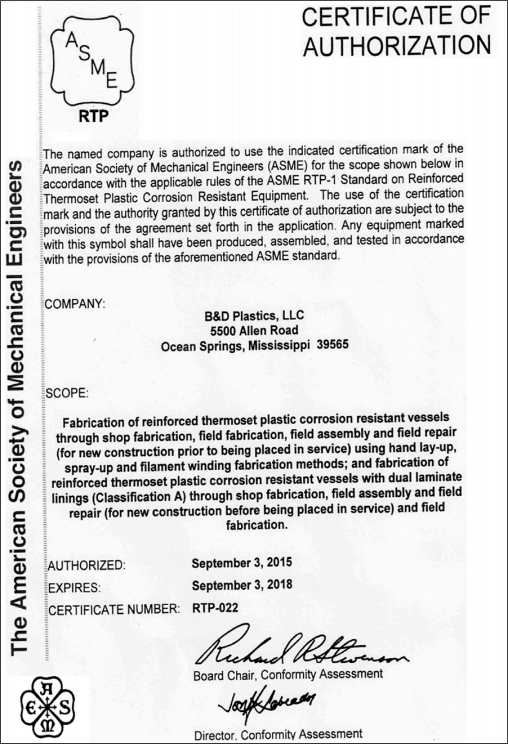 B&D Plastics, LLC is authorized by the American Society of Mechanical Engineers to certify FRP and Dual Laminate Vessels in accordance with ASME RTP-1. This dual authorization is one of only three that exist worldwide. Click here to view the certification itself. Fabricated, Inspected, Tested, Documented and Sectioned the demonstration vessels, M-6 and M-12, per mandatory appendices. The RTP-1 Certificate of Authorization was approved by ASME and Certificate Number RTP-022 was assigned to B&D Plastics, LLC. Risk Management: The standard is developed with input from expert stakeholders in the FRP industry and is overseen by a highly respected engineering organization, the ASME. 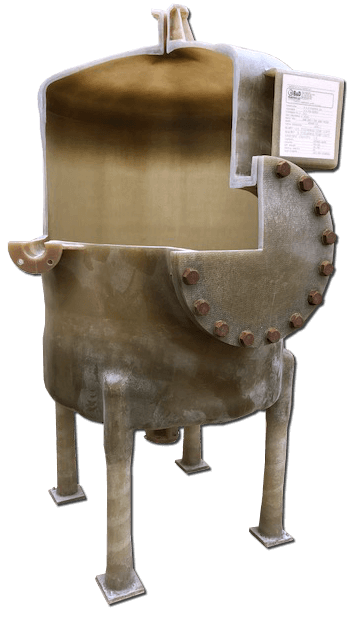 Fabricator Vetting: Authorized fabricators subject themselves to self audits and audits by ASME to ensure compliance with the requirements of the standard. Authorized Fabricators have Laminators, Secondary Bonders and Thermoplastic Welders that are qualified per the requirements of ASME RTP-1. 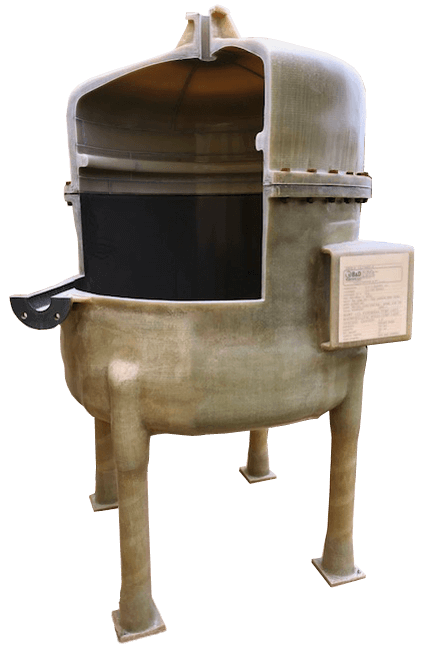 Fabricator Compliance: Requiring the RTP-1 stamp on a vessel signifies the fabricators full compliance to the standard.